ArchBlocks.com now offers AutoCAD ebooks by Ralph Grabowski! Ralph Grabowski is Editor of upFront.eZine e-newsletter and the former Senior Editor at CADalyst magazine. He is the author of more than 100 books about AutoCAD and other graphics software. All the ebooks that are offered are downloaded immediately and come in PDF format. What’s Inside? 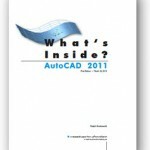 AutoCAD 2011: Covers all the latest new featues of AutoCAD 2011 that started shipping in April 2010. Tailoring Dynamic Blocks AutoCAD 2010: a complete tutorial for creating and understanding dynamic blocks. Tailoring AutoCAD 2010: getting the most out of your AutoCAD environment from basic to advanced topics. Tailoring AutoLISP-DCL-Diesel: learn AutoCAD customization from basic to advanced topics. Tailoring AutoCAD 2010 CUI: increase your productivity by creating a custom user interface specific to your production needs. Download Lynn Allen’s AutoCAD 2011 Tips! You can now download from the AutoCAD Exchange website, “Lynn Allen’s AutoCAD 2011 Tips” in PDF format. 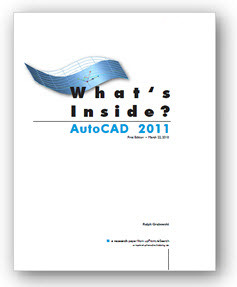 It gives you some great insight on the new features of AutoCAD 2011. You are currently browsing the ArchBlocks CAD Blog blog archives for April, 2010.